Water collected in two Portland-area homes recently logged the highest lead levels reported locally in nearly two decades, new testing data obtained by The Oregonian/OregonLive shows. Water from a home in Tigard recorded lead of 648 parts per billion. A home in unincorporated Washington County tested at 113 parts per billion. No amount of lead is considered safe. The Centers for Disease Control and Prevention discourages children or pregnant women from drinking water that exceeds 15 parts per billion. Both test results came from homes that receive drinking water from the Portland Water Bureau, which serves nearly 1 million people in the metro area, including suburbs such as Gresham, Tigard and Tualatin. Results from the two homes are “alarming,” Gabriel Solmer, a Water Bureau spokeswoman, said in an emailed response to questions. But she stressed that the results appear to be abnormalities and aren’t indicative of broader problems. The eye-popping test results were collected in March and April during semi-annual testing mandated by the federal government. They’re the latest trickle in a local lead frenzy spurred by high test results in some Portland Public Schools. Solmer said officials took immediate steps to contact the wholesale providers that officially supplied the water, Tualatin Valley and the city of Tigard. Those agencies discussed the high results with each homeowner. Officials don’t believe the results indicate a greater problem in high-risk homes built between 1970 and 1985, Solmer said. Officials are required to test homes built between 1983 and 1985, with copper piping and lead solder, as part of federal clean-water rules. Portland’s naturally corrosive water can leach lead from that kind of plumbing. Since 1999, Portland officials haven’t seen a test higher than 98 parts per billion, results show. “The two results are unusual and extraordinary,” Solmer said. Federal regulators require water providers to keep lead levels at or below 15 parts per billion, as measured through samples collected at specific homes throughout the system. If samples from at least 10 percent of tested high-risk homes exceed that level, water systems must notify the public or take steps to reduce corrosion. Portland once again hovered just below the federal standard, reporting 13.1 parts per billion for spring testing. Of 114 samples only 8 percent exceeded 15 parts per billion. The results are “certainly good news as it shows that Portland’s water treatment processes are working as intended,” Solmer said. Portland most recently exceeded the federal standard in fall 2013. In recent years, the Rose City recorded the highest lead levels of any large water provider nationally, The Oregonian/OregonLive reported in April. Although Portland’s water is considered corrosive, state regulators in the 1990s deemed the city in compliance with federal lead rules. Portland could add more chemicals to the water to reduce corrosion but instead chose to focus on lead-paint hazards. Federal officials, in the wake of the water crisis in Flint, Michigan, are now keeping closer watch on Portland. 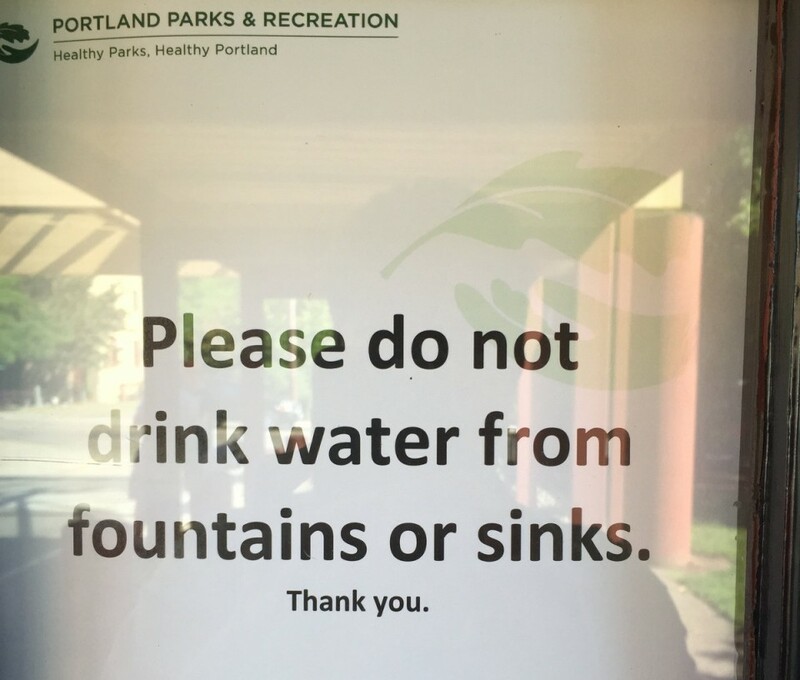 “We remain interested in what more (Portland) can do to minimize the levels of lead at users’ taps,” wrote Marie Jennings, manager of the Environmental Protection Agency’s regional drinking water unit, in an April 14 letter to state regulators. Portland officials say there are odd circumstances behind the two high tests. In the first, water was collected from a bathroom faucet instead of the kitchen sink. Five of 22 past tests at the Tigard home since 2003 previously tested high, but never more than 38 parts per billion. This test found 648 parts per billion, on par with some results from Flint. At the other home, near Cedar Mill, none of the past five tests since 2013 exceeded 15 parts per billion. The owner told officials he thought he used hot tap water – which is more likely to release lead from plumbing or fixtures. The owner, Michael Tranlong, 50, said he’s not worried by the 113 parts per billion result. He lives alone in the home, which he bought in 1992.